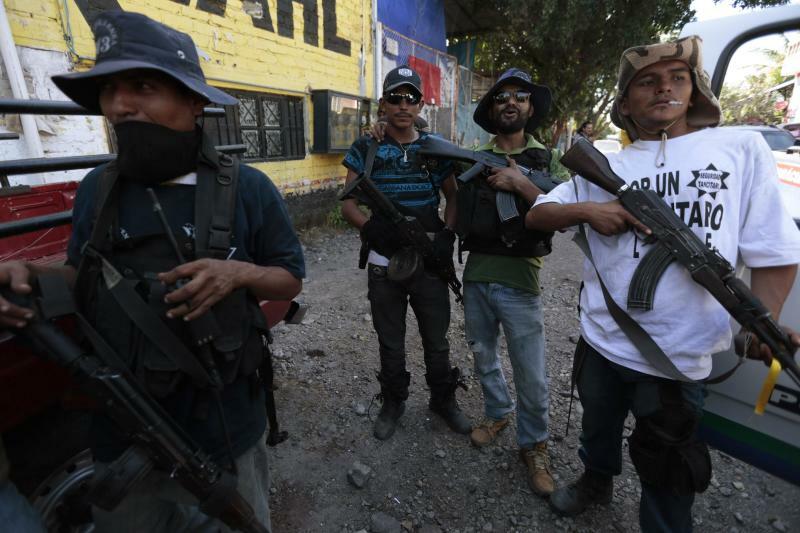 MEXICO CITY (AP) — Mexico essentially legalized the country's growing "self-defense" groups Monday, while also announcing that security forces had captured one of the four top leaders of the Knights Templar drug cartel, which the vigilante groups have been fighting for the last year. "The self-defense forces will become institutionalized, when they are integrated into the Rural Defense Corps," the Interior Department said in a statement. Police and soldiers already largely tolerate, and in some cases even work with, the vigilantes, many of whom are armed with assault rifles that civilians are not allowed to carry. Vigilante leaders will have to submit a list of their members to the Defense Department, and the army will apparently oversee the groups, which the government said "will be temporary." They will be allowed to keep their weapons as long as they register them with the army. The military will give the groups "all the means necessary for communications, operations and movement," according to the agreement. The vigilante leaders, who include farmers, ranchers and some professionals, gathered Monday to discuss the agreement, but it was not yet clear for them what it would imply. It wasn't known if the army would offer anyone salaries. 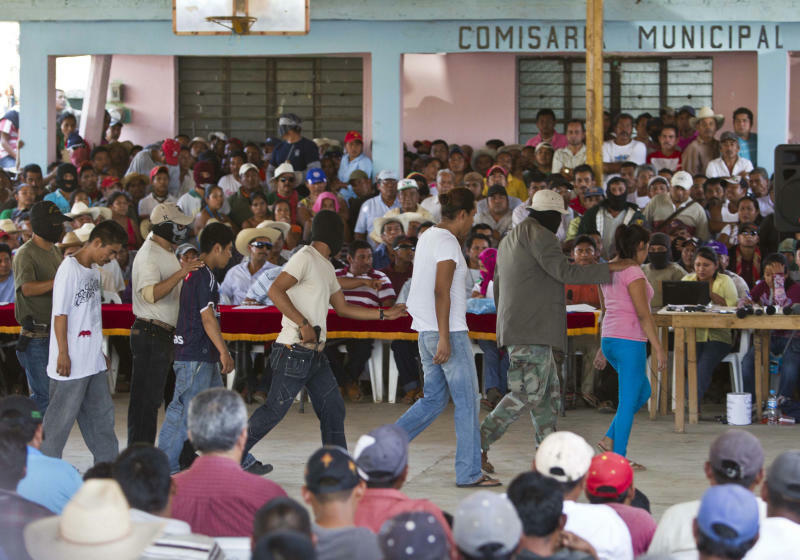 Misael Gonzalez, a leader of the self-defense force in the town of Coalcoman, said leaders had accepted the government proposal. But the nuts-and-bolts "are still not well defined," he added. "We won't start working on the mechanisms until tomorrow." Vigilante leader Hipolito Mora said in a television interview that the agreement also allows those who qualify to join local police forces. "The majority of us want to get into the police ... I never imagined myself dressed as a policeman, but the situation is driving me to put on a uniform." While the cartel may be on its way out, "there shouldn't be abuses by those who come after, there shouldn't be what we would call a witch hunt; there should be reconciliation," said the Rev. Javier Cortes, part of a team of priests in the Roman Catholic diocese of Apatzingan who have publicly denounced abuses by the Knights Templar. National Public Safety System secretary Monte Rubido said the feared drug lord was arrested without a shot being fired. He said federal forces found Loya Plancarte in Morelia, the capital of Michoacan, "hiding in a closet" and accompanied only by 16-year-old boy. The 58-year-old Loya Plancarte had a 30-million peso ($2.25 million) reward on his head from the Mexican government for drug, organized crime and money-laundering charges. He was considered one of the country's three dozen most-wanted drug lords in the late 2000s. 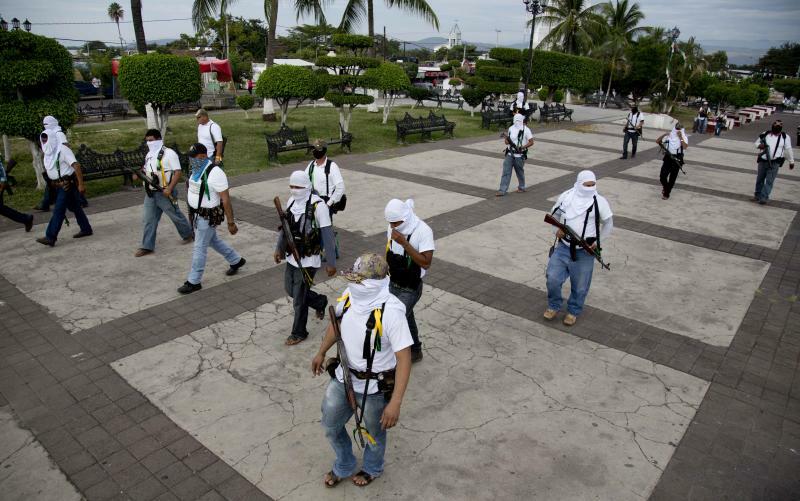 The Knights Templar ruled many parts of Michoacan with an iron fist, demanding extortion payments from businesses, farmers and workers, but the self-defense groups have gained ground against the cartel in recent months. Federal police and army troops were dispatched to bring peace to the troubled region, but the vigilantes have demanded the arrest of the cartel's major leaders before they lay down their guns. Ramon Contreras, an activist in the vigilante movement from the town of La Ruana, which was the first to rise up against the Knights Templar, said the arrest "means a lot" to the vigilantes, but added that they won't rest until they see all the top bosses arrested. Contreras voiced a common belief that the man who founded the cartel under the name La Familia Michoacana, Nazario Moreno, alias "El Chayo," is still alive, despite the government's statement in 2010 that he had been killed in a shootout with federal forces. "He's still alive; there's proof he's still alive," Contreras said. Loya Plancarte got his nickname, "The Uncle," because he is believed to be the uncle of another top Knights Templar leader, Enrique Plancarte Solis.